Brooklyn-based design and invention firm Pensa Labs has created an entirely different desktop manufacturing machine that opens up new possibilities for fabrication by wire-bending instead of printing plastic. “The DIWire is the first desktop wire bender, a new archetype for rapid prototyping that transforms drawn curves into bent wire,” it reports on the official website of Pensa Labs. The DIWire Bender is the first desktop CNC wire bender of its kind in the world that is capable of translating 2D computer line drawings into bent wire shapes that can be assembled in just about anything. The DIWire Technology can be combined with other desktop manufacturing machines, opening up a whole new world of applications. Any type of 3D object can be broken down into 2D planes which can be fabricated separately with the DIWire Bender. Small and large objects are then assembled by soldering the pieces together, so the build volume is limited only by the length of wire. Most objects can be completed in under a minute, since the Bender comes with its own software and does not require special skills for operation. “Our software doesn’t require specialty skills; just drag-n-drop your SVG file and press bend. Users can simply draw in 2D, with no programming or CAD skills required,” the creators said. The DIWire Bender uses metal instead of plastics and can bend steel, stainless steel, aluminium, copper and brass wires. “By being transportable, accessible and affordable, the DIWire fills the market gap between time-consuming hand-bending and large scale, mass production CNC wire bending, which is too expensive for custom, short-run productions. This changes the dynamics of STEM education, as well as local, mass customised, prototype and just-in-time manufacturing for industries ranging from aerospace, automotive, medical, to consumer products,” it says on Pensa’s Kickstarter page where the creators managed to secure funding for their project on 17 December 2013. The DIWire has been available for pre-order for $3,200 with estimated ship date this month. The package includes the DIWire, DIWire software, 1/8 inch and 1/16 inch bend heads and feed wheels. Shipping and sales tax are paid separately. 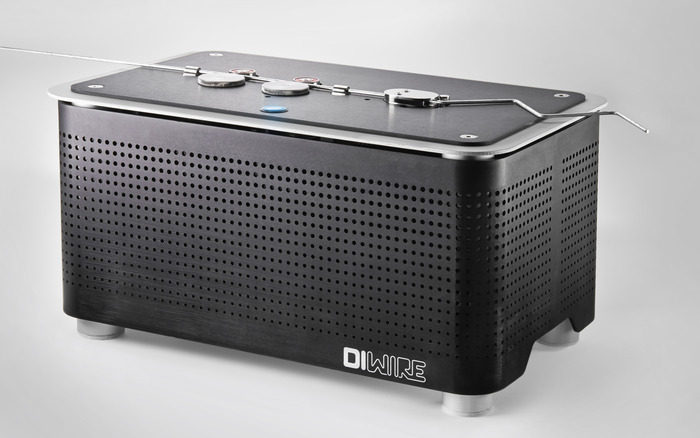 Currently, the DIWire will only ship to the United States, Canada, the EU and Australia.